It's not often that you'll find a property with all that this one has to offer! 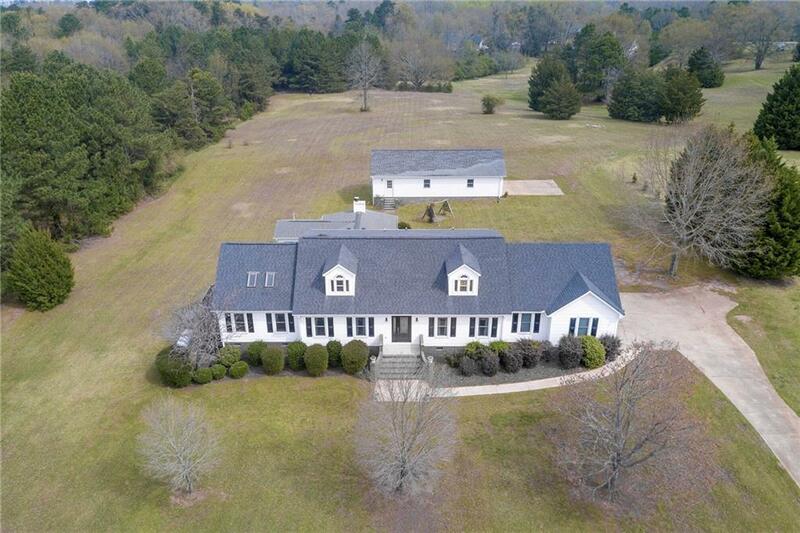 This amazing property is situated on 2.74 picturesque acres in a restricted Lake Hartwell community and comes with a covered slip in the community dock. Located on great water all year long, you'll have all the perks of being on the lake without the hassle of moving and maintaining the dock yourself! Community residents also have access to covered picnic pavilions, fire pits, and the dock areas are gated. With just under 3500 square feet of finished living space, this home includes both a formal living room and a huge great room which has vaulted wood ceilings, wet bar, a fireplace with gas logs, and an adjoining sun room. On top of that, there's a 16x18 formal dining room -- perfect for someone who loves to entertain or host large groups for holidays! The large eat-in kitchen has custom cabinets with hidden double trash bins, built-in spice rack, & lazy Susan, granite countertops, as well as upgraded Jenn Air double wall ovens, 48" Jenn Air gas cooktop with grill, and Kitchen Aid dishwasher. Rather than a tiny powder room for your guests, the main level has a full bathroom with its own linen closet, located right beside the spacious walk-in laundry room. Completing the main level is the bright master suite, which has high ceilings, skylights, access to a private deck, a walk-in closet, and an adjoining full bathroom with marble tile flooring. Upstairs, you'll find two additional bedrooms that are both an impressive 19'x18' in size, and there is a third full bathroom located at the top of the stairs. In addition to the attached 2 car garage, the property has an additional detached garage with workshop and full bathroom inside. There is a separate septic for the detached garage, & it is insulated but only has a wall heater and window AC unit for the workshop. Additional details: Windows have been replaced with double hung vinyl windows that tilt in for cleaning, front door has been recently replaced, boat slip has swim ladder, bar area has mini cooktop, sink, & full sized dishwasher, marble tile is foyer.